Millions of visitors flock to the City of Light, anticipating they will be dining cheek-to-cheek with les Parisiens only to find themselves sitting cheek-by-jowl with fellow stateside visitors. 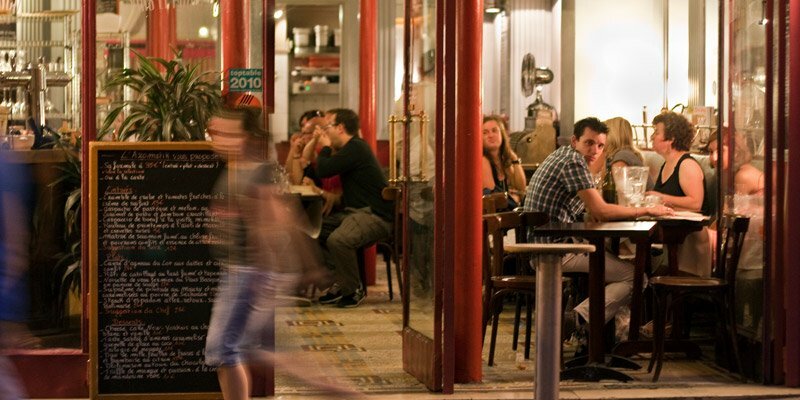 But, with a few handy tips and tricks, you can avoid making new friends from Michigan and make dining friends with locals at some of the best restaurants in Paris. Stay clear of Paris restaurants with too much buzz in the American press, unless you like being in a sea of fellow travelers. If you're looking to be surrounded by chic Parisians, check the French press before you leave home — the Michelin Guide, Pudlo, or Le Monde is a good way to start. 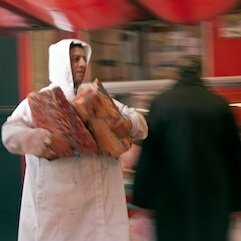 One of our famous (or infamous) restaurant stories is arriving at Alain Ducasse's, Aux Lyonnais in the Bourse district. At the time it was receiving plenty of ink in USA newspapers and magazines. As soon as we were seated, we could hear loud English voices… everywhere. Unfortunately, the restaurant is like a fish bowl and we couldn't hear ourselves think. It was a gutsy move, but we left, shouting out our concern to the maitre d' on the way out. 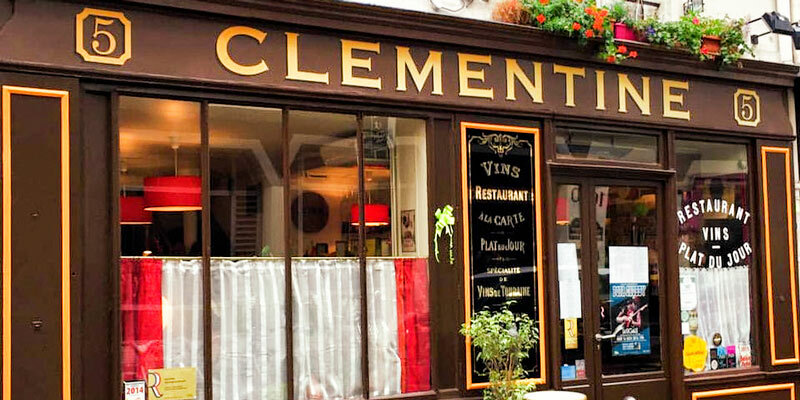 Luckily, nearby we found Chez Clementine (in the 2nd), a quaint place where the patrons were all French. 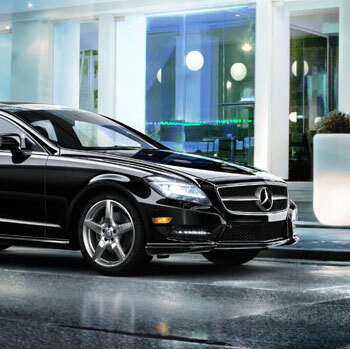 Now, mind you, we don't often leave a restaurant, but we do like to make sure we have a good experience. One surefire tip to avoid the tourist crowd is to dine later. 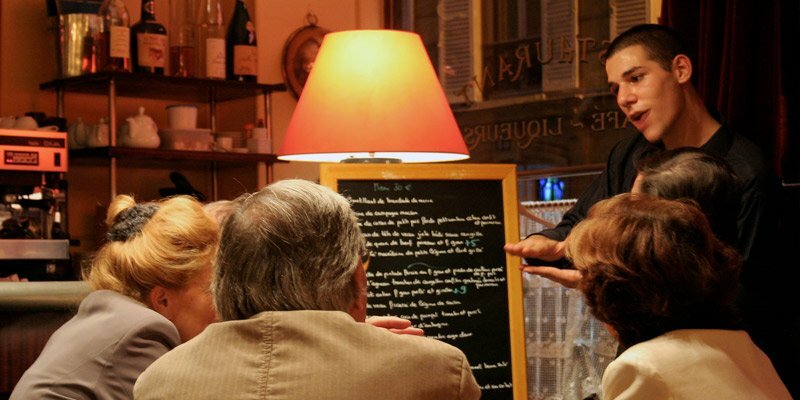 Make your reservations for 9 PM and you're much more likely to be seated with les Françaises. Arrive at 7 PM and you'll find yourself among with the tourist crowd. It may take a little adjustment to dine later, but once you start, you'll start to feel like a local. 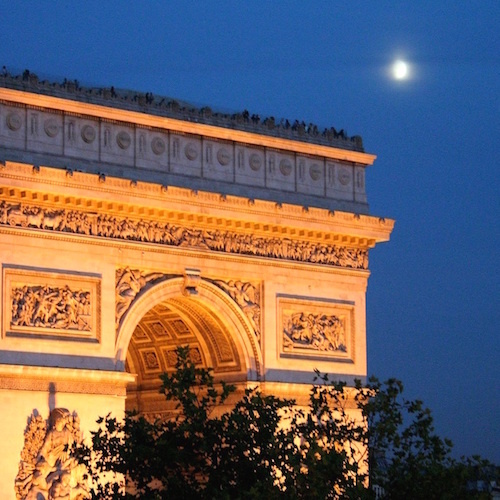 And, it's lovely walking home later, when Paris is alight, traffic is slower, and the city feels even more magical. 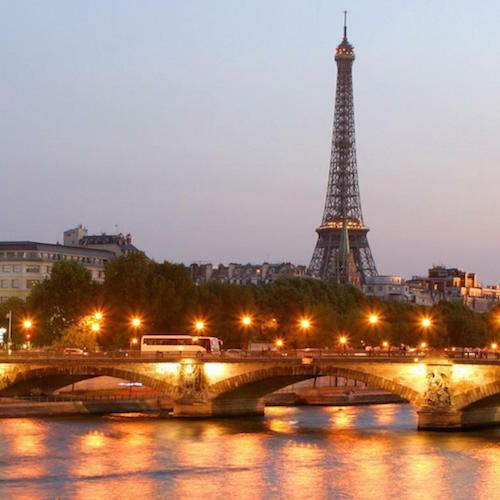 There are wonderful restaurants in all areas of Paris including tourist destinations like the Champs-Elysées, the Eiffel Tower, Notre Dame, and the Louvre. Pay attention and you can avoid les tourist traps. One simple way is to wander a block or two away. 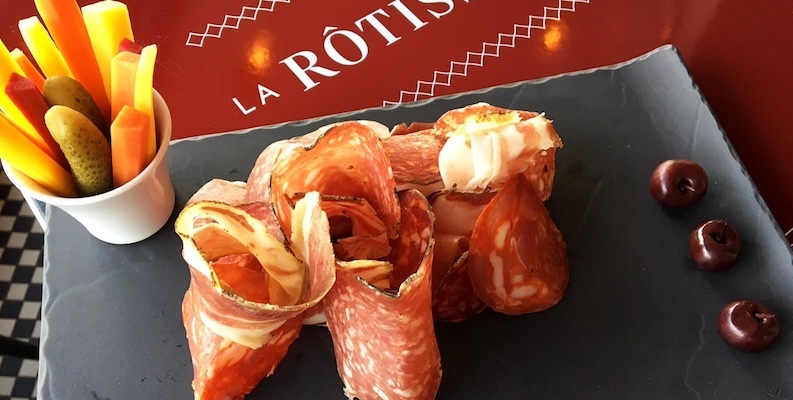 For instance, just a a short walk across a bridge from tourist-popular Île Saint-Louis is one of our current favorite eating spots — La Rotisserie d'Argent, the bistro of the more famous, more expensive Tour d'Argent across the street. It's elegant, uncrowded, and the food is fantastic. Avoid restaurants smack dab in the middle of the action with loud, garish signs advertising they speak your language and boast English menus. Just keep on walking, boots. Cue the horns. 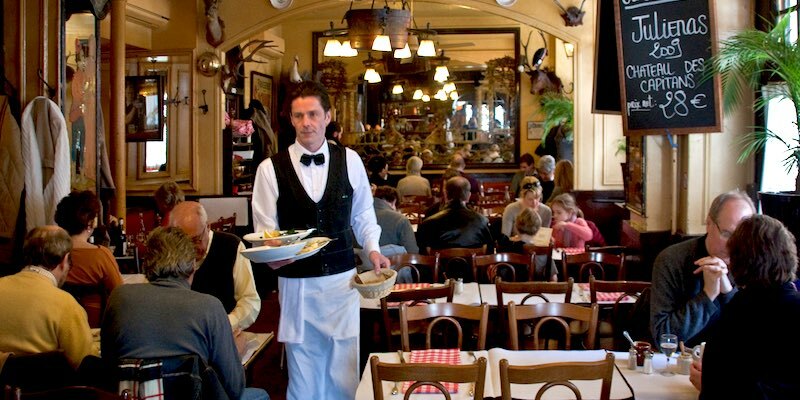 Years ago, when we were Paris newbies (okay, it was a lot of years ago), we dined at Bofinger, a popular historic bistro attracting an international clientele. Quel dommage, it was a pity, but we were exiled upstairs in restaurant Siberia — a dark corner reminding us of rumpus rooms circa 1969. 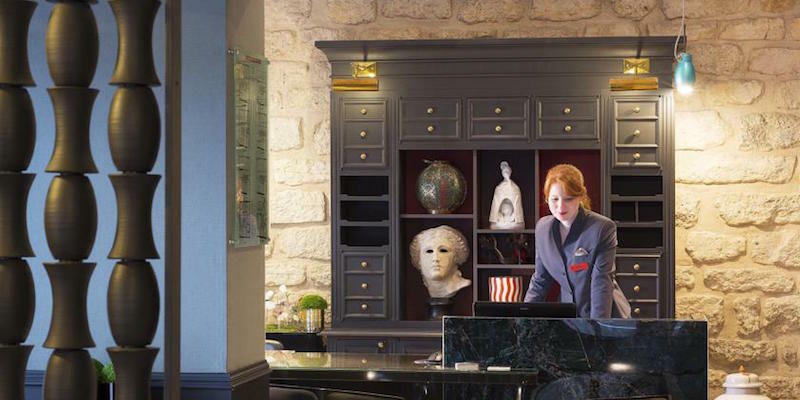 When we shared the experience with our hotel concierge she told us, "If you would have asked, I would have sent you to an historic neighbourhood restaurant I love." We dined there the next night and voila, we were in vintage bistro heaven with Belle Epoque etched mirrors, a zinc bar, and a dazzling menu filled with the classics. If you are a serious food lover, we recommend you plan your Paris restaurants much like you'd write a piece of music — use all the notes. Be sure to dine at a local wine bar, a splurge Michelin restaurant meal, an historic bistro, and a neighborhood small cafe. 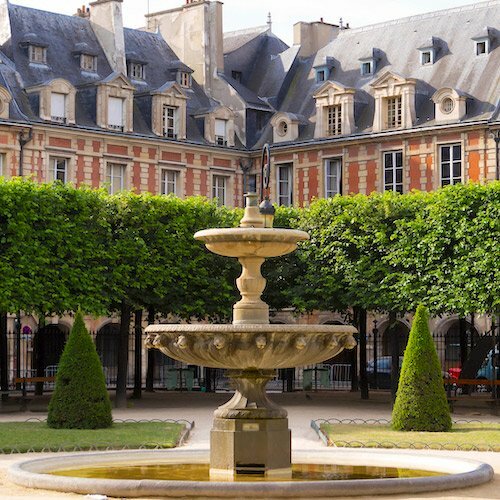 We love organizing our one splurge meal in Paris by studying the special menus offered at the super-luxurious restaurants. 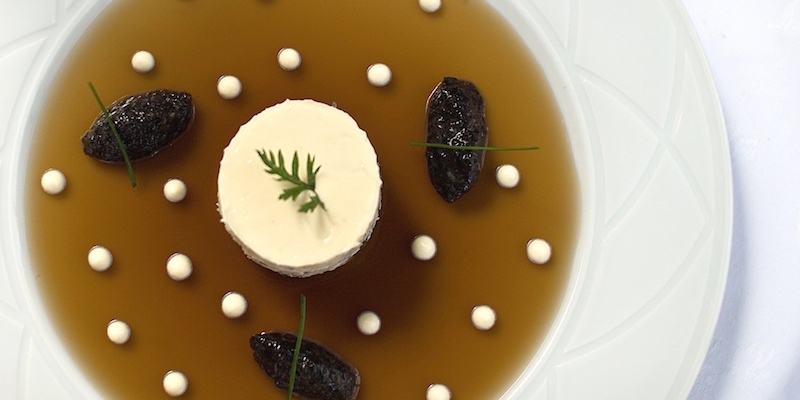 Many of these 3-star restaurants like Le Bristol, Le Grand Vefour, Pierre Gagnaire, Le Cinq, Pavillon Ledoyen, Le Pre Catalan, and Guy Savoy offer lower-cost tasting menus that cost a fraction of the a la carte menu. To us, it's the best money we've spent in Paris. A special menu might cost a few hundred euros for two people, but the memories last long after your trip. We can still remember fondly our first meal years ago at Pierre Gagnaire (okay, it was a lot of years ago). One more thing about variation — occasionally a restaurant that you "discovered" and kept on your list ends up being on too many other visitors' list as well and, the next time you eat there, you discover it's filled more with tourists than with locals. That's when you'll amend your list and start searching again for a new discovery. 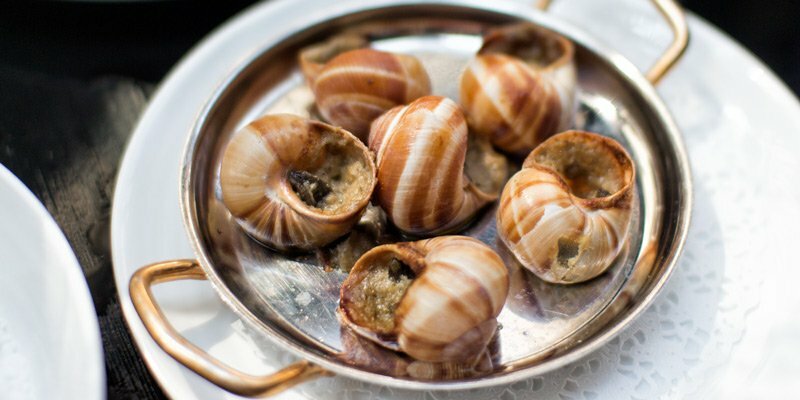 A 3-course meal is standard in Paris restaurants and they ensure the portion sizes are just right. Look around, you will be surrounded by thin, healthy French people who are all eating 3-course meals including dessert, often a cheese course, plus wine. That's how you act like a local. The French eat lunch from noon to 2 PM, and dinner from 7 PM to 10 PM. Yes, there are exceptions to this rule, but if you plan your meals around the French dining clock, you will be happier and better fed. Also get used to the idea that breakfast is not the most important meal of the day. 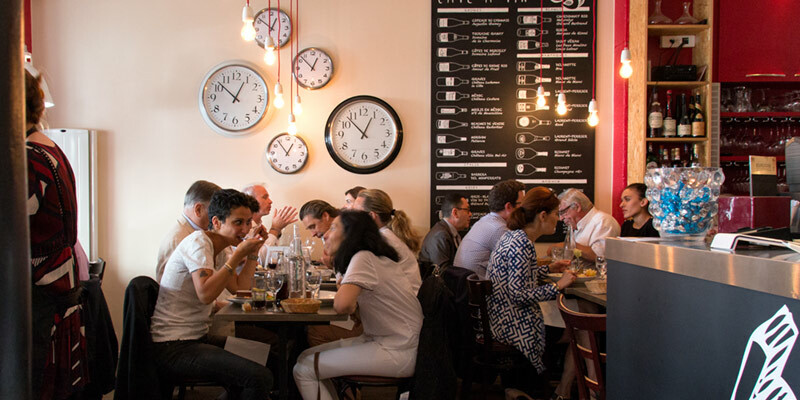 Have a light breakfast (croissants and coffee are two of the major breakfast food groups) and save your appetite for a long leisurely lunch, when many Parisian businesses (and even food markets) close for le déjeuner. When you're in "discovery" mode, not every meal at a new restaurant will light up your Christmas tree. Don't worry, though. If the last meal disappointed you, just shrug it off (and cross that restaurant off the list) and look forward to your next one. Although by far most of our Paris meals have been very good to memorable (like Chez Clementine, Pierre Gagnaire, and La Rotisserie d'Argent) there have been a few restaurant disappointments (like Bofinger). Oh well, demain est un autre jour — tomorrow is another day, and another meal. This is the gold standard and the secret weapon for the French when they are researching where to eat in Paris (and France for that matter). The guide covers 1-, 2- and 3-star restaurants (three stars is the maximum Michelin awards) as well as restaurants with the Bib Gourmand status (sort of like a mini star). The latter will lead you to little-known affordable gems. In our experience, Michelin 1-star restaurants give you the best value, guiding you to stellar restaurants not often covered by the North American press. We have also found that the 2-star restaurants often times deliver the same satisfaction (in service and cooking) as many of the 3-stars. 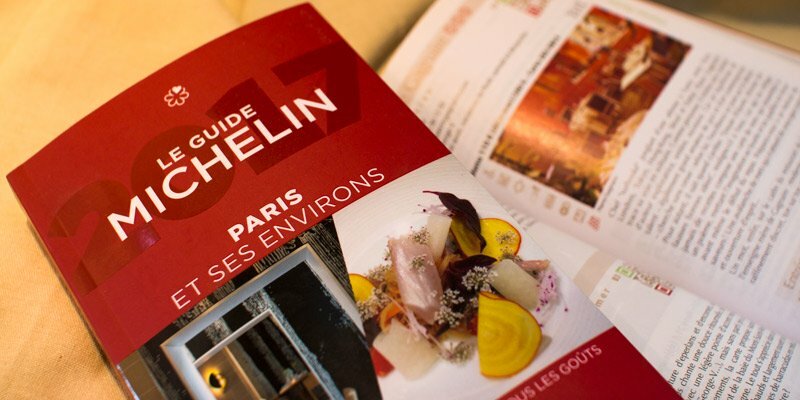 Being recognized by the Michelin guide is what all French chefs aspire to, that's what we've discovered in the dozens of interviews we have conducted in leading restaurants in the country. As Chef Chef Frédéric Robert at the highly-recommended La Grande Cascade told us, "Michelin is the guide that is important. The others do not matter." Two things to remember are tipping is not necessary and you will not receive your bill until you ask for it. Some first-time visitors get tripped up on these two points. First of all, a 19% tip for the server is already included on your bill. That's what the words "service compris" mean. Second, your server is not being rude by not delivering your bill. It's actually good French server manners to only deliver the bill when it's asked for. They don't want to make you feel like you're being rushed out of the restaurant.